The first adventure in which we are looking for a cure for a mysterious plague. The game takes place on a large open island inhabited by dangerous predators. 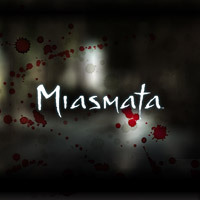 Miasmata combines exploration, survival struggle and logical elements. Miasmata is a game of survival, exploration and discovery. Our goal was to create gameplay that challenged convention. We wanted an immersive experience that gives the player the freedom to discover the world at his/her own pace and in his own way. During his adventure, the player will encounter a mysterious and deadly creature. This creature can stalk the player for miles, lurking behind grasses and vegetative cover. By treading carefully and quietly, the player may be able to elude the creature. If he's careless, however, the player will be forced to confront the creature head-on. The island of Eden is filled with dozens of plants and fungi, many of which have unique medicinal properties. Some of these plants hold the secret to curing the plague, so the player must harvest them and run lab experiments to determine their worth. Exploration is a key component to Miasmata, so we developed an interesting cartography system. The player can use landmarks, such as ruins and statues, to triangulate his location and construct a map of Eden's boundaries and contours. Game score 8.3 / 10 calculated out of 120 players' votes. Expectations before the premiere: 7.8 / 10 calculated out of 7 players' votes.